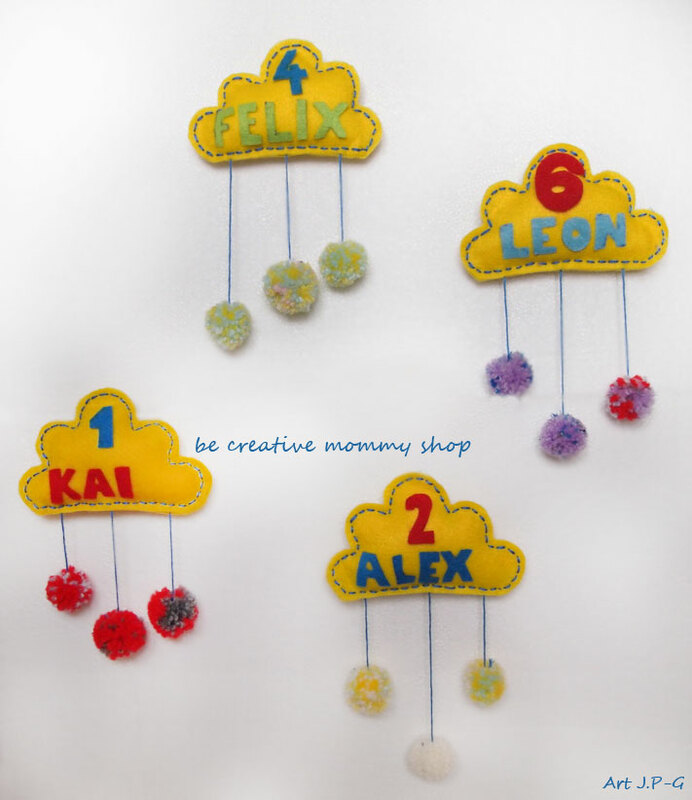 Recently I see that the decorations in the shape of clouds are very popular. I love this shape, as I love the sky with clouds. Beautiful clouds are in the Netherlands. Once I thought that only the Dutch painters painted it, but it's true there are amazing clouds. Currently I live in beautiful Scotland, but I was a little wistfully behind that clouds. After preparing a template I cut out clouds of them felt. Then I prepared letters of felt. 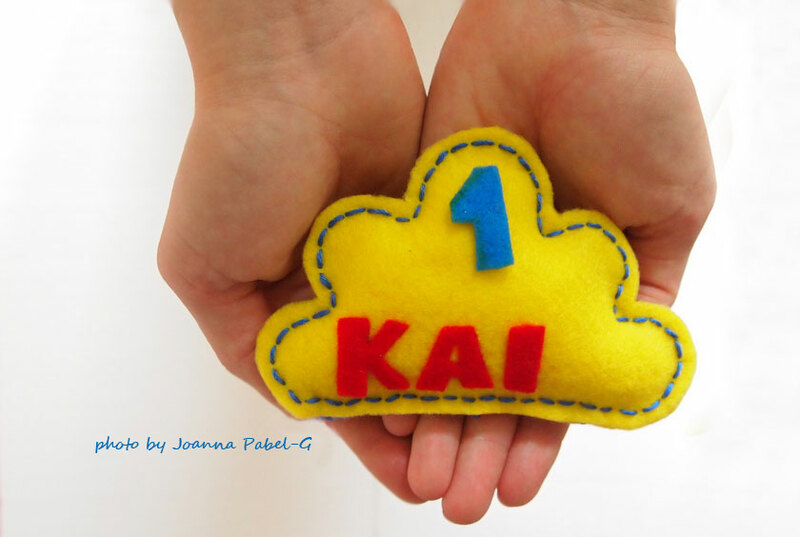 Remember to stick the letters before that as you will sew the cloud. How to make a pompoms you find HERE. 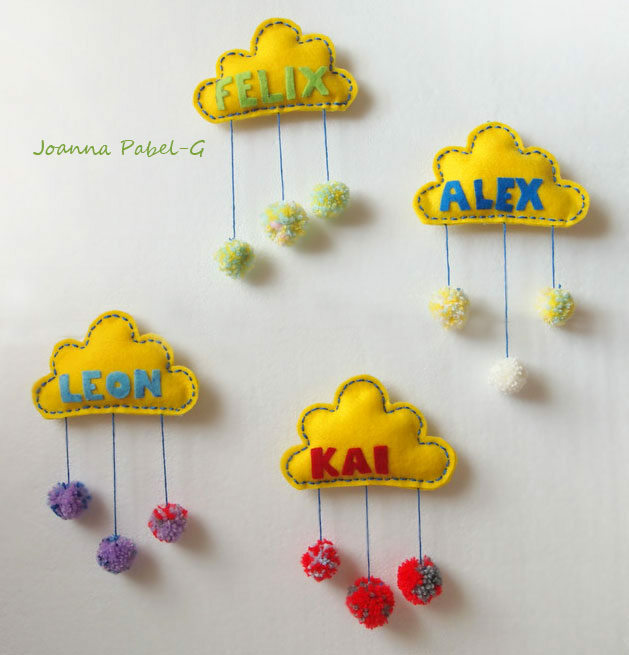 The cute small clouds makes a great feature for any child's room of nursery. 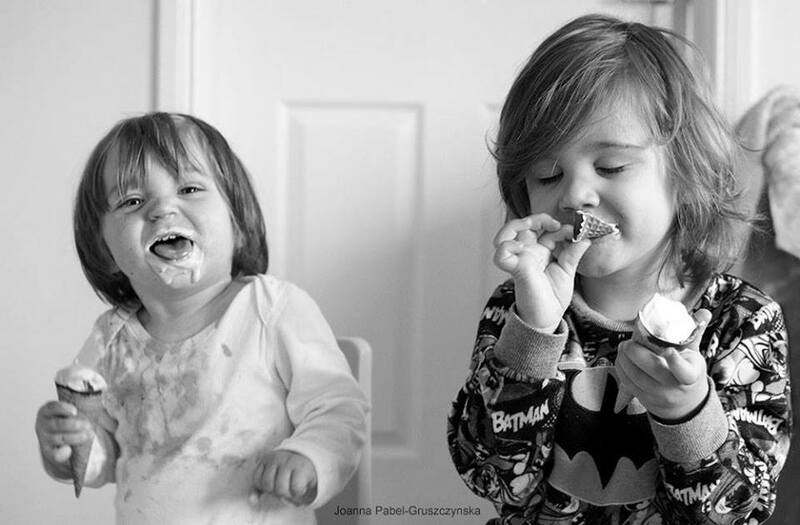 They can also be a great birthday gift and perfect gift for baby showers.